Marijuana toxicity cases have increased since recreational use has been legalized in some states. Although humans tend to tolerate the use of recreational marijuana, domestic animals tend to be more sensitive to its active ingredient delta9-tetrahydrocannabinol (THC). The effects of THC usually affect a pet’s neurologic system by interacting with all major neurotransmitters. What are the symptoms of marijuana poisoning? What should I do if I think my pet could have potentially ingested marijuana? Fortunately, fatalities from marijuana toxicity are rare. Regardless, you should seek veterinary care immediately if you suspect your pet could have ingested marijuana. It is very important to be honest and upfront with your veterinarian if you suspect your pet could have ingested marijuana. Veterinarians are not obligated to report marijuana intoxications to the local police, so it is important to be forthright with your veterinarian so we can institute the proper treatment. Treatment often includes decontamination of the GI tract, IV fluids, anti-vomiting medications and the use of repeated doses of activated charcoal to bind/move excessive toxins in the GI tract through quicker. Severe cases of marijuana toxicity may require oxygen support, blood pressure monitoring, regulation of temperature a ventilator/respiratory support. 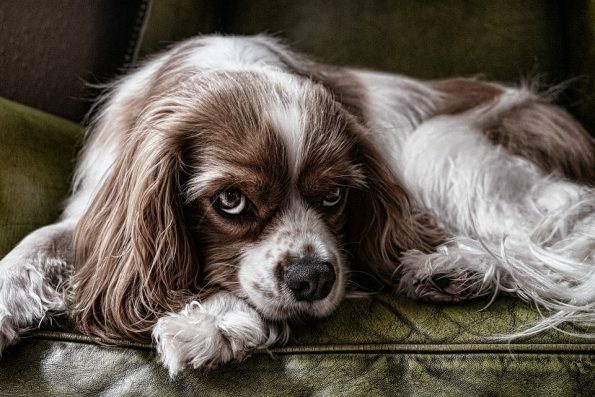 How can my pet be poisoned by marijuana? There are a variety of different items that can induce marijuana toxicity. These types of things include inhalation of the smoke, ingestion of the plant, ingestion of products that contain marijuana or hashish and ingestion of food that contain marijuana (i.e. edibles) such as brownies, cookies, candies and butter. Can marijuana be used as a therapy for my pet? Marijuana has been used by humans for both medicinal and recreational purposes for thousands of years. Although there are more than 480 compounds in cannabis, the 2 major cannabinoids are THC (the primary psychoactive component) and cannabidiol (the primary nonpsychoactive component). In humans, cannabinoids have been used in therapy in treatment of cancer, nausea, vomiting, pain, epilepsy, inappetence and inflammatory bowel disease. In animals, however, there is much less information/research on the effects of cannabinoids as researchers have primarily focused on the toxic effects on domestic animals. In particular, a specific dose for CBD has not been well established making it hard for veterinarians to give advice on dosing it for palliative care purposes. As more research is done, it may become a more powerful tool for treatment of certain conditions. Until then, it is best to consult your veterinarian before starting any therapy. Regardless, the active/psychogenic ingredient (THC) should be avoided in pets due to their high probability for causing toxicity.